Being a great host doesn’t have to break the bank. 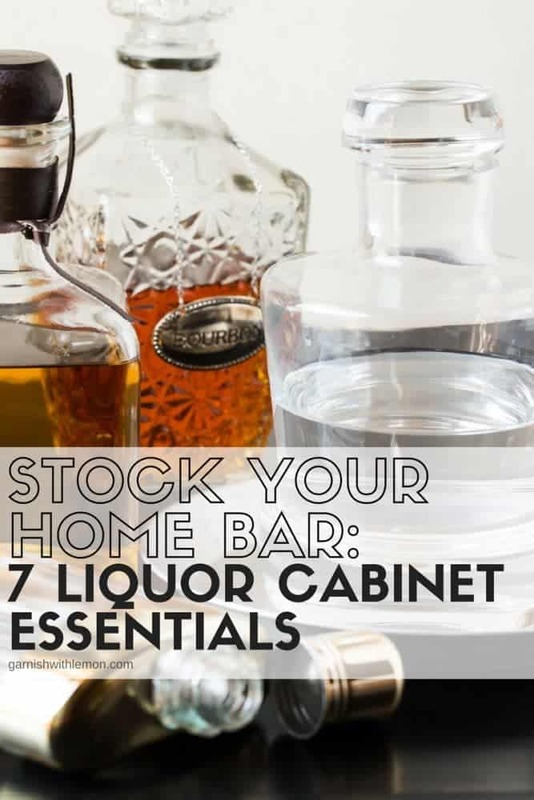 Stock Your Home Bar with these 7 Liquor Cabinet Essentials and be ready for the holidays! It’s time for part 3 in our Stock Your Home Bar series. 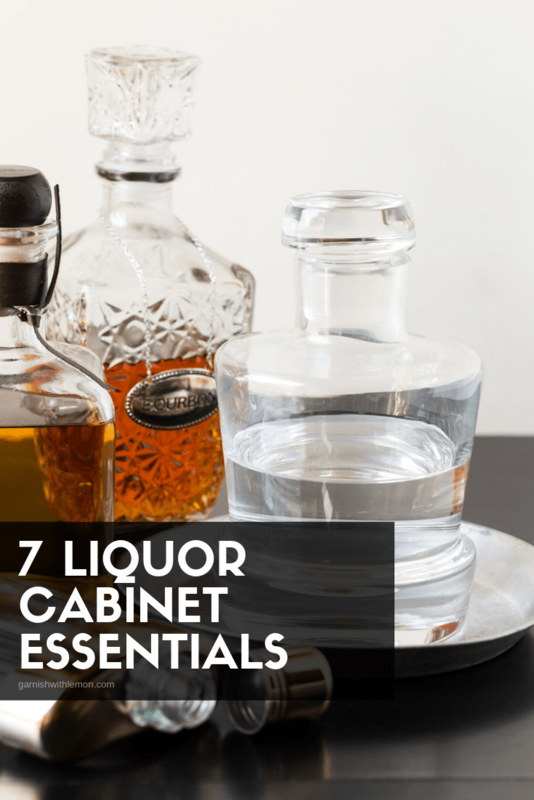 Now that you have the tools and the glasses you need for the upcoming holiday season, it’s time to Stock Your Home Bar with the 7 Liquor Cabinet Essentials you need to fill those glasses. We’ll fill you in on the basics to get your bar stocked as well as some suggested cocktails to get the party started. There isn’t a home bar that is complete without a bottle of good vodka. A tried and true vodka tonic or vodka soda is a great go-to, but there is a lot more that can be made with it than that. 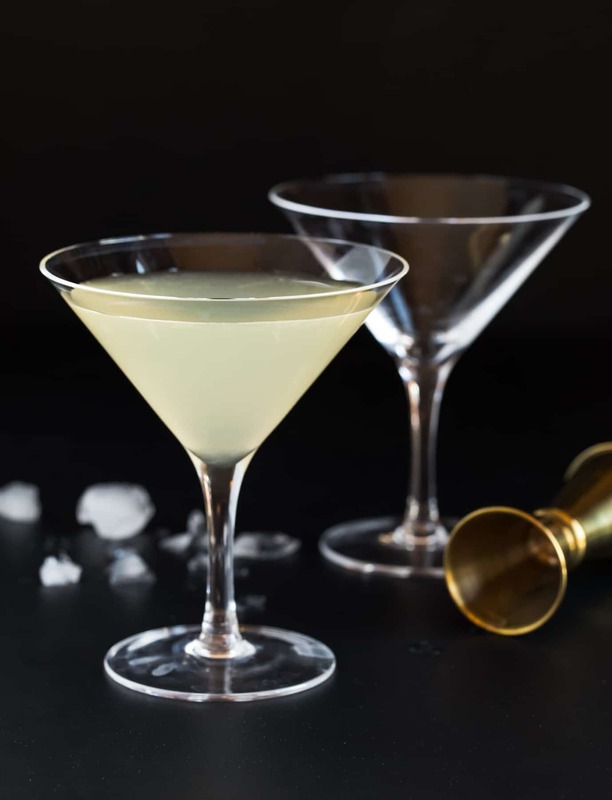 Vodka is a blank canvas for making really good cocktails. 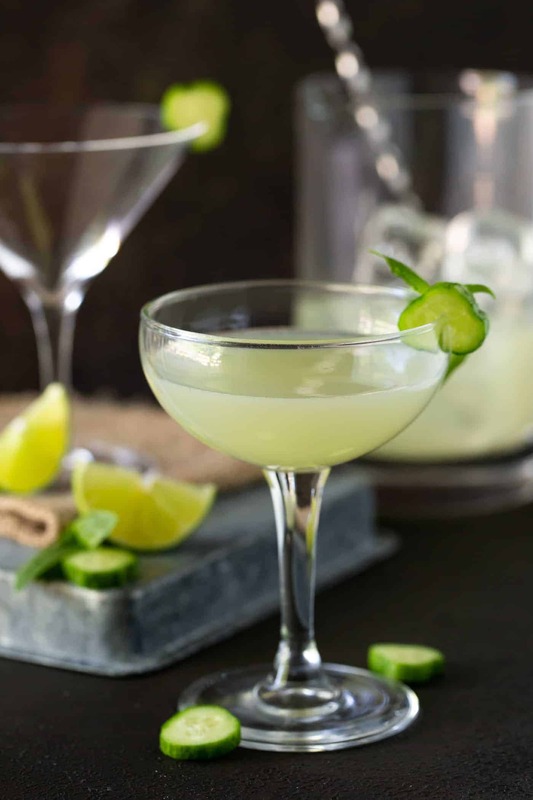 Although we LOVE a good Gin and Tonic, consider branching out to include some new flavors like this Elderflower Martini or a Rosemary Gin Spritzer. Nothing warms the soul like some good whiskey. Purists will drink it on the rocks, but these Ginger Whiskey Cocktails and Meyer Lemon Whiskey Sours will turn anyone into a whiskey lover! 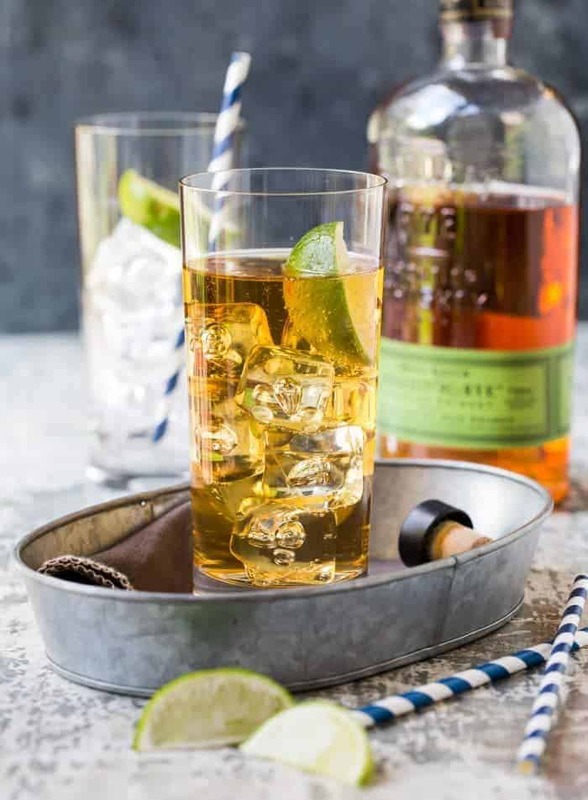 Celebrate the holidays with a batch cocktail made with bourbon. 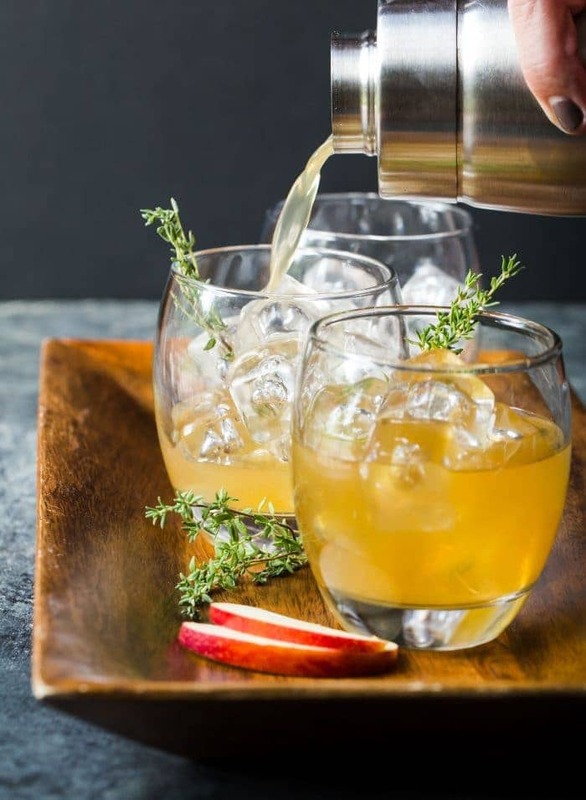 These Bourbon Apple Cider Cocktails are the perfect way to kick off the holiday season with a group! It’s no secret that we are HUGE tequila fans here on Garnish with Lemon. In our opinion, those who don’t love tequila haven’t had a good tequila cocktail. 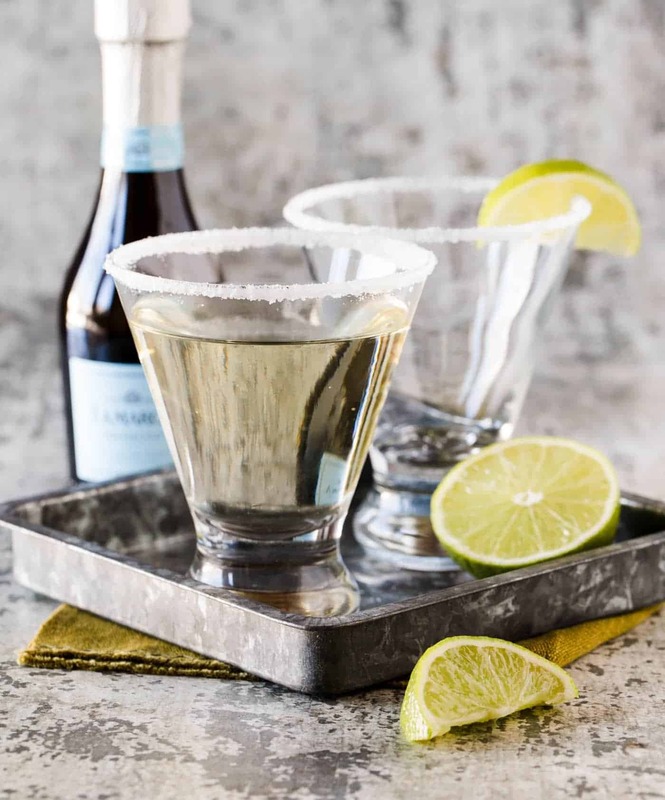 And yes, although we love a tasty margarita, tequila is for more than just that. 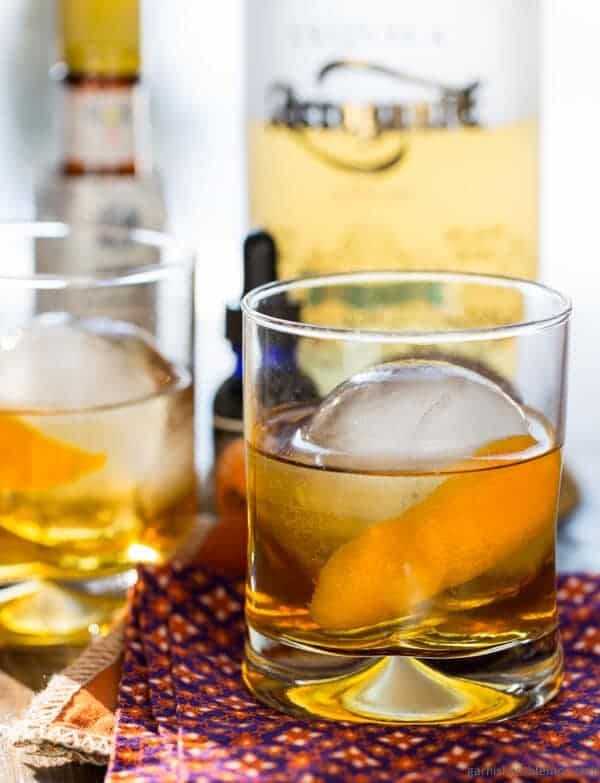 Try a Tequila Old Fashioned over the holidays and see what we are talking about. We aren’t huge Rum drinkers but that doesn’t mean that there aren’t some extraordinary cocktails made with it. We love to take it beyond the “Rum and Coke” and make a Strawberry Kiwi-Daiquiri or a good mojito. This one is near and dear to our heart and probably a little (ok, a lot) outside of the norm. However, Elderflower Liqueur is a STAPLE in our home bars. 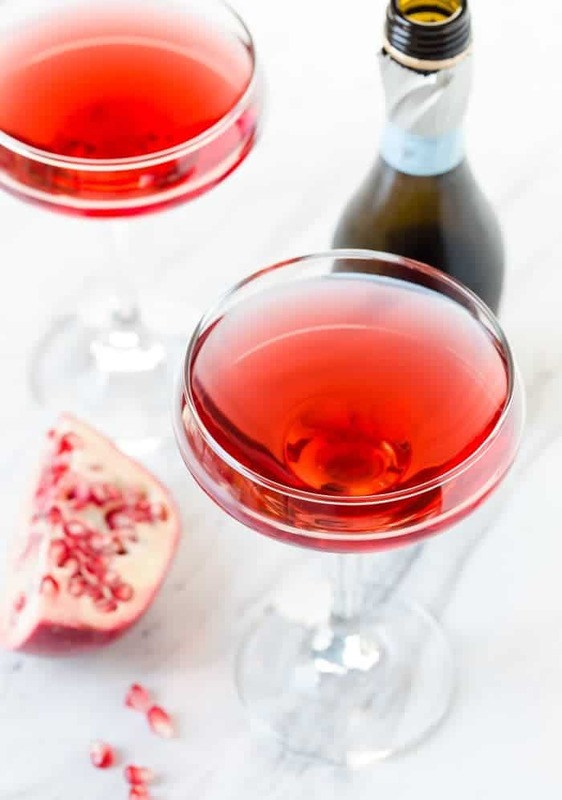 Not only does it add a little sweetness to drinks without simple syrup, but it’s also a great way to take an ordinary cocktail and make it special without a ton of work.